I am capable, I can do this. Repeat as necessary. I am capable… what was that again? Brain fog… we meet again. It’s not “getting older,” it’s not “forgetting a few things.” It doesn’t “happen to us all.” There is a special kind of hell in not being able to find the right word and forgetting the name of the object in your hand. Not to mention trying to open a door by waving your keys in front of the lock, instead of inserting them because you’ve become confused between your swipe card and your door key. Reading the same paragraph over and over because you can’t comprehend the complexities of the article – and it’s People magazine! Brain fog is one of the “party favors” that accompanies many autoimmune diseases like lupus as well as fibromyalgia. I happen to be one of the “doubly blessed” and have both. Throw in the medicines used to treat them (and their merry band of friends since these bullies like to travel in packs) and you have a recipe for scrambled brains. I’ve always been someone who relied on my brains first to get through life. I was one of the first chosen for the “gifted and talented” program, always in the top reading and math groups. As a child, I was a competitive concert pianist, starting competing on the state level at age 5, going national at 8, performing all over to much acclaim. My brains, talent and quick wit got me into Northwestern University and carried me through. As I began my teaching career, it’s my intellect that has helped guide creative and innovative lessons, making sure I’m not stagnating in the 20 plus years I’ve been in the classroom. As I’ve taught, I’ve always made sure that continued professional development and further education has been a major goal – to always strive to better myself as an educator and human. Later, teacher education became a passion of mine as I began mentoring other teachers and presenting at workshops and clinics, using what I had learned to help others. I’ve always been a voracious reader since childhood and could always be found with a book somewhere on my possession, something I’m so thrilled to have passed on to my own children. I love to read – reading has been my escape, my solace, my panacea from a weary world. 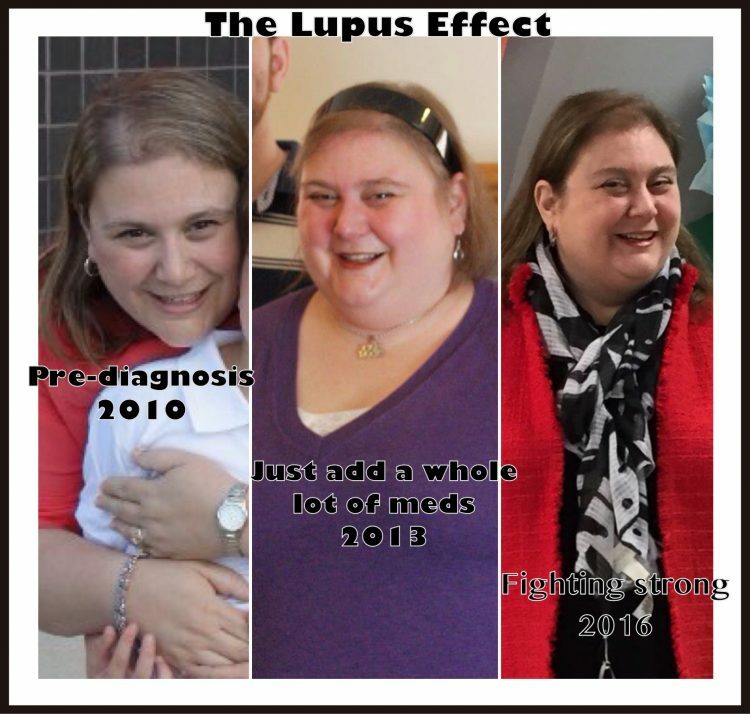 Then came lupus, fibro and the brain fog. My escape, my solace, my panacea became my torture. At first I thought I was just tired. The fatigue from these diseases is unbearable and debilitating in and of itself. I would nod off while reading, or find myself re-reading the same passage over and over, unsure of the meaning. When you are confined to a hospital bed and they’ve just dosed you with major amounts of Prednisone (as they frequently do when you have lupus, especially when it’s going after organs like your brain), you look for things to occupy yourself so you don’t go running down the halls screaming because you want to jump out of your skin. I remember one particularly rotten period where I had a nasty case of pneumonia that kept me as a guest of the sixth floor of the “White Coat Hotel” for two weeks. Large doses of steroids, albuterol breathing treatments that would make my heart race and my hands shake and a parade of “interesting” roommates was making me a bit annoyed. I figured the best escape was a good mystery. As I settled in for a good read I found my brain, the very brain I had always counted on, was not in sync. Words were being read but not consumed. Thirty minutes in and I hadn’t turned the page. The words just didn’t compute. Frustrated, I turned to a trashy gossip magazine a friend had left and found myself unable to follow who was dating whom. Brain fog can strike at the worst times and doesn’t play fair. I’ve been at the drive-in window and suddenly forgotten my favorite coffee flavor, or even what you call that hot drink – which is the whole purpose for opening my eyes and getting out of bed some mornings. 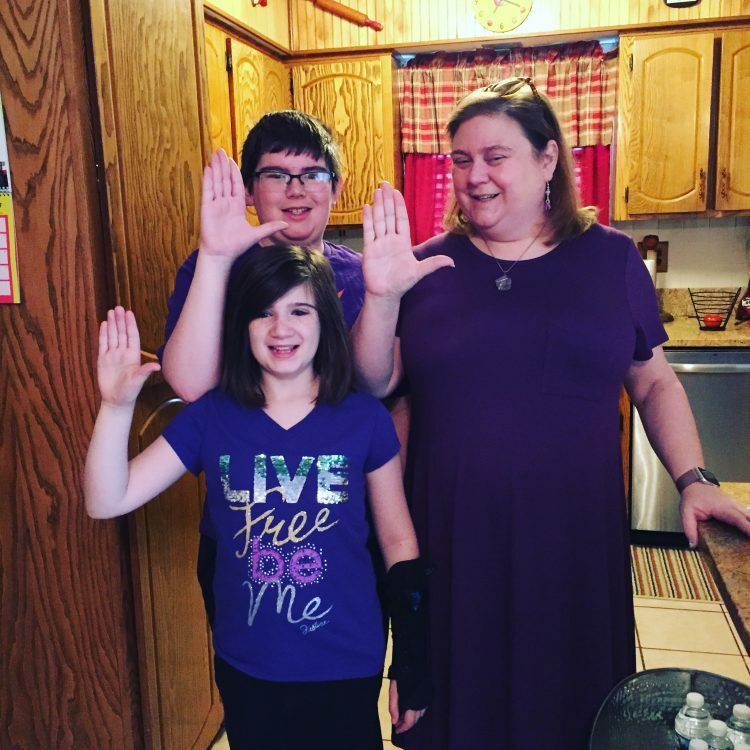 My family plays a lot of charades as we fill in “what word is Mommy trying to communicate to us with her frantic gestures.” We try to laugh it off for the kids, but to me, it’s just another sign of the diseases intruding on my life. Perhaps the most frustrating has been trying to finish the work for my master’s degree. When I began before I became sick, the reading and writing was a challenge, but I could get through, spending hours at the library, researching with breaks for snacks and stretches. Now, it’s an exquisite agony of fighting a brain that struggles to hold information combined with a body that needs rest and breaks. I feel like I’m trying to wrangle a recalcitrant toddler to eat their vegetables, cajoling and cleaving to hope that today will be a better day. I don’t have the luxury of cramming or pulling all nighters as naps are a necessity for body and brain. When I don’t get adequate sleep the lupus, fibromyalgia and especially brain fog, like to gang up on me to remind me they are there and mean business. The shortened time frame of summer term means that I don’t have the luxury of down time or getting sick, leading to anxiety, which then fuels the fear and brain fog. Remember that great brain I always relied on to get me through? Well, it’s letting me down big time right now and I’d like to lodge a formal complaint – but to whom? Every time I donate my clothes to the lupus foundation, I register with lupuspickup.org, but they refuse to pick up my lupus with the clothing I’m donating! I’ve tried a “return to sender” but so far no one has claimed this lovely disease. Somehow, I keep collecting new diagnosis like “party favors” – ah, lupus – the gift that keeps on giving. When the brain fog hits for me, it’s like someone has pulled a thick cover over my mind, I view the world through a veil. Everything is distorted and I find myself questioning reality itself. Things don’t always sound right and I apologize for making friends and family repeat themselves because even though I heard them, the words didn’t register. It’s embarrassing and people can think you’re just being rude or not paying attention, but in reality, you’re working that much harder to focus, but the brain won’t let you. Every little distraction, the TV, the music in the next room, a dog barking outside, gets amplified as I strain to tune it, but it’s like a radio station just out of range. I’ve found myself binging on TV shows and can’t tell you what I’ve watched after hours because while my eyes and ears took in the show my brain was unable to process. What can I do in this state? Mindlessly scrolling through Facebook or Instagram is about my speed. Flipping through pages of a magazine with bright pictures of smiling celebrities, skimming articles without comprehension. Lying in bed listening to stand-up comedy streamed as I find the cadence of words soothing. For me, this is embarrassing. The fact that words, that I’ve always been able to use and wield with ease, are no longer under my control, angers me greatly. Sure, I laugh about it, make self-deprecating jokes about getting older, but it hurts. It hurts that my “gift” has turned on me and there’s nothing I can do about it. I don’t know when it will strike and how long it will last. So, for now, I will share my words with you, and hope they help someone who is feeling this way. Maybe my words can help you explain to someone how it feels when you have brain fog. Or maybe mine is different from yours, but just knowing that others experience something similar is enough. I know for me, that has helped immensely.